This post is only going to be a short one but I just had to share my most recent Sheffield discovery with you! Today I met up with my cousin Katy for a nice brunch/lunch date. 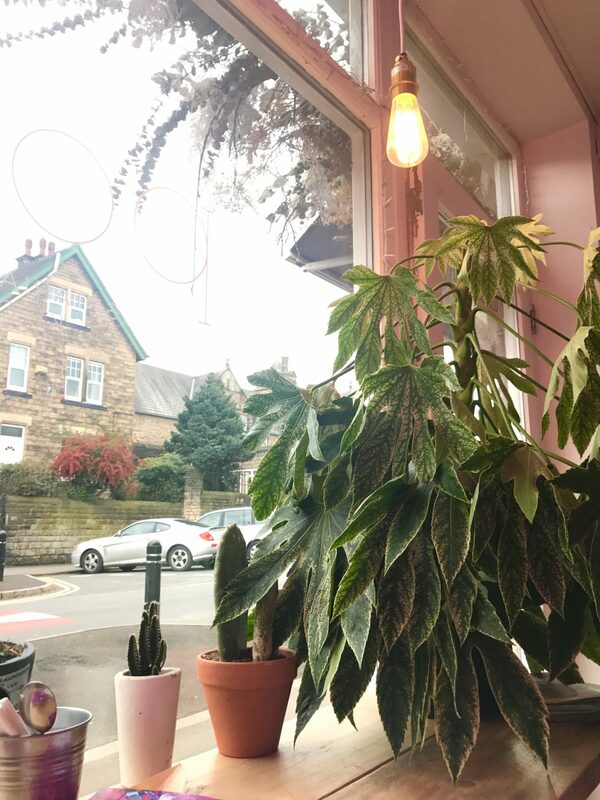 We planned to go to Pom Kitchen on Sharrowvale Road in Sheffield, which we have both walked past and thought looked lovely. 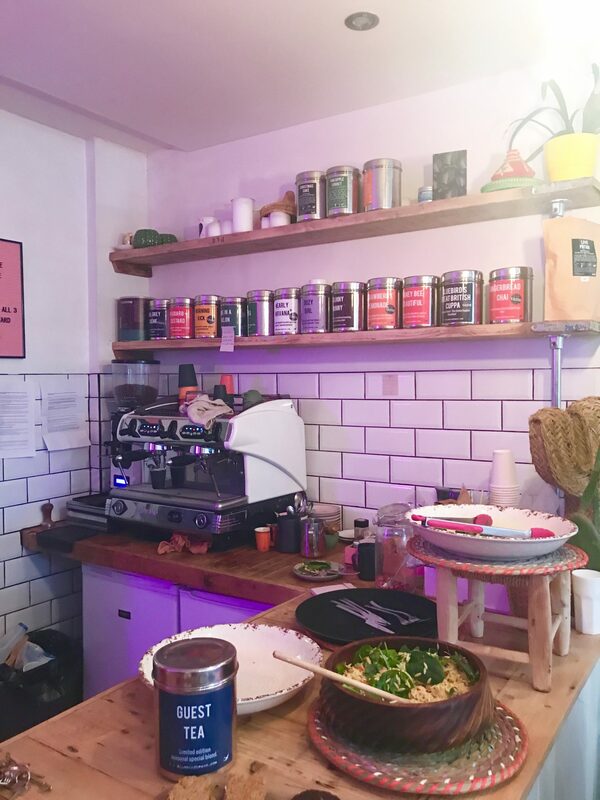 This is potentially the most aesthetically pleasing cafe I have ever been to and it specialises in Vegan and Vegetarian treats which is amazing for those of you who are plant based. Pom serves an all day breakfast and a normal menu and they also have a specials board. 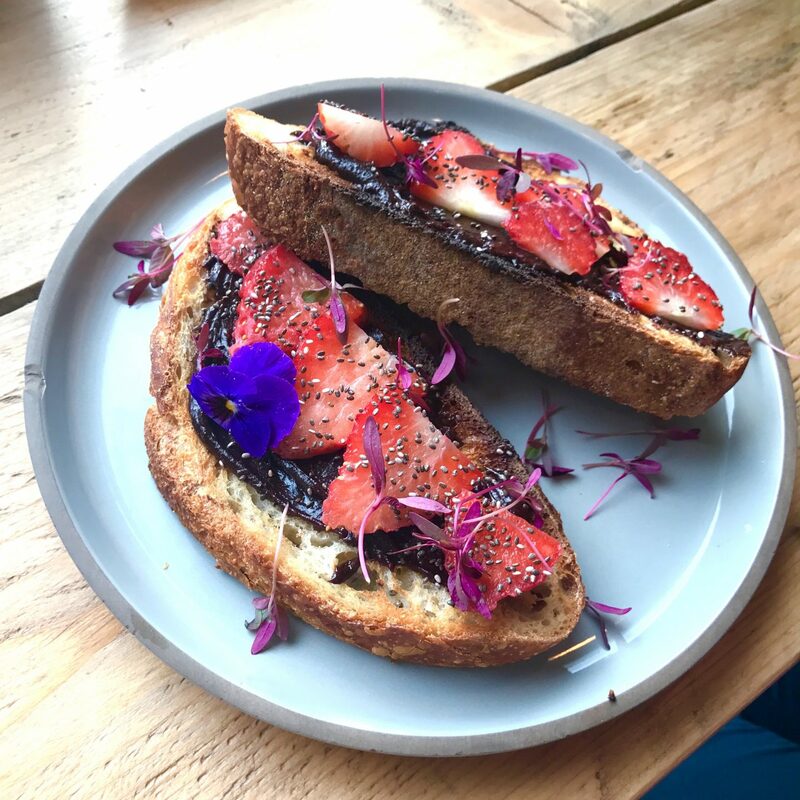 This means that you can have anything from a Thai green curry to avocado on toast, myself and Katy both went for a sweet option from the all day breakfast menu. 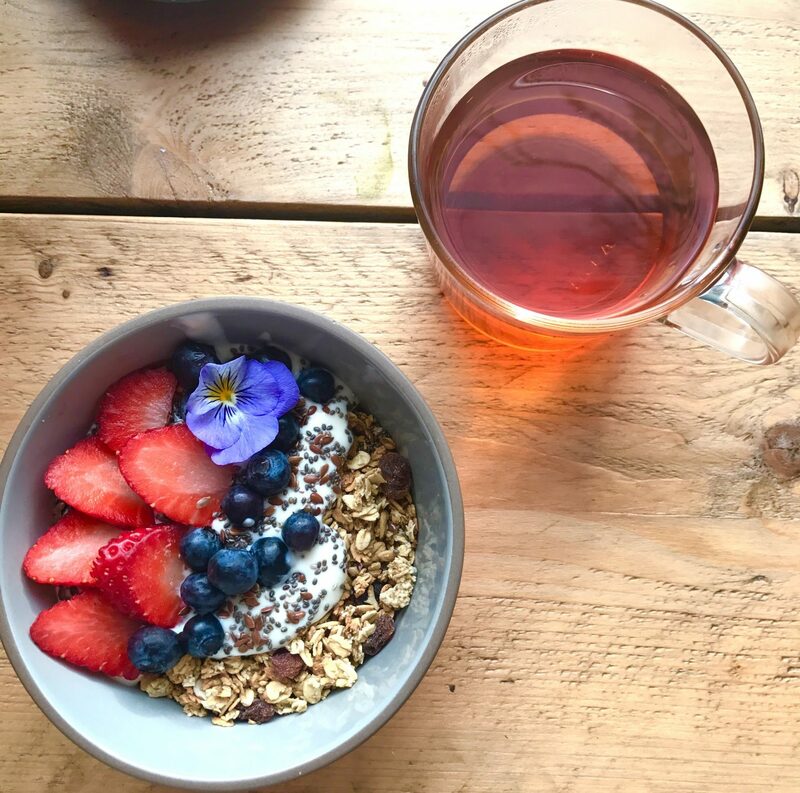 I went for a bowl of homemade granola with coconut yogurt and seasonal fruits, whilst Katy went for homemade Nutella and strawberries on sourdough. Let me tell you it was delicious, I could have eaten mine all over again despite how filling it was because it was just heaven. Katy agreed saying her toast was equally as nice and we were both already planning what to have next time! 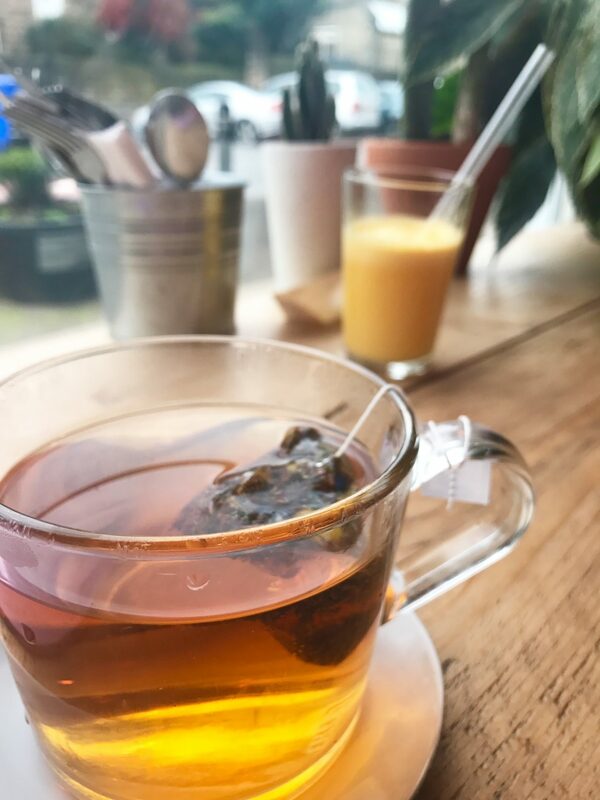 To drink I had a Honey Bee tea, which was gorgeous and I’m already trying to find out where I can get my hands on some, whilst Katy had a freshly squeezed Orange Juice which just looked full of goodness! Not only was the food delicious it was also great value for the amount of food you got, especially considering it’s all homemade! Some of you may have seen in my recent post that I’ve been trying to eat a more vegetarian diet and reduce my meat intake. So finding local cafe’s which serve an all veggie menu, which are literally minutes from my house, is amazing! 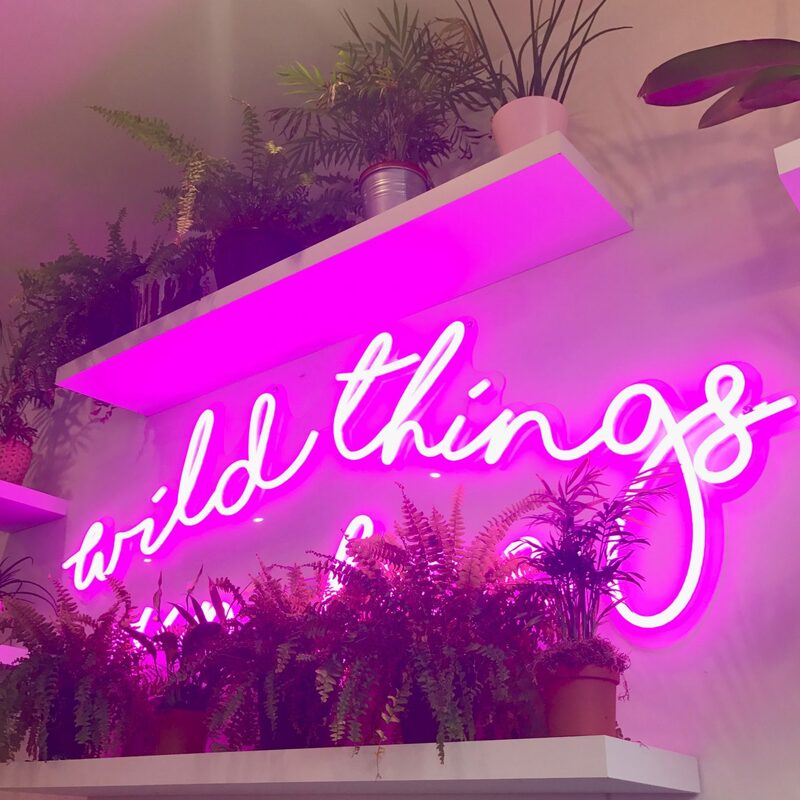 Even better when that said cafe is literally like sitting in a blogger’s paradise with all the greenery, neon signs and cute plates and mugs! 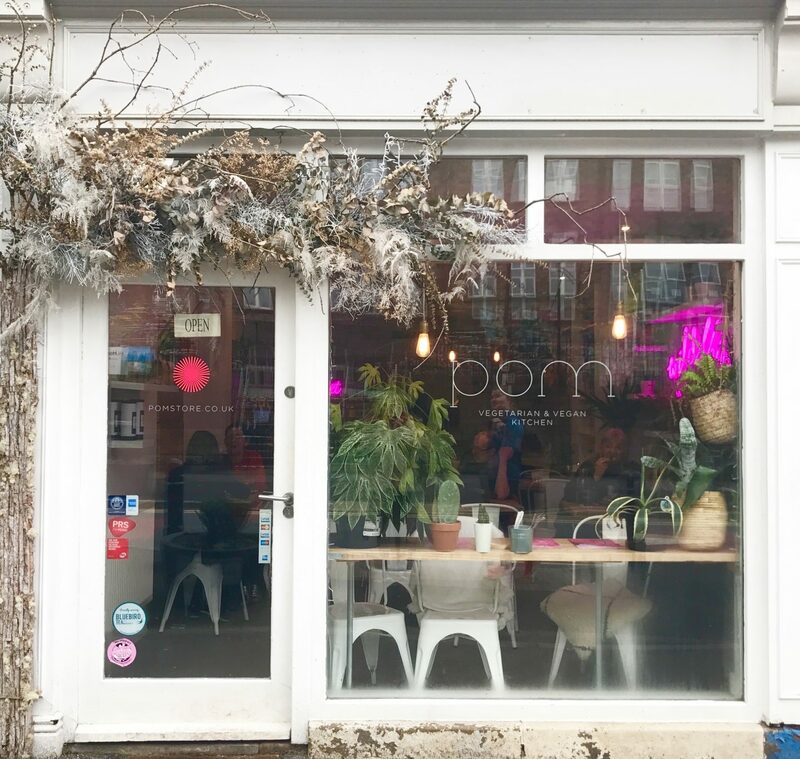 So there you have it guys, the long and short of it is that you need to go to Pom, the food was beautiful, the staff were so friendly and it’s literally Instagram goals if ever I saw it. Plus for those of you who are into your food, it has Zanna Van Dijk’s seal of approval so I think that’s praise enough! 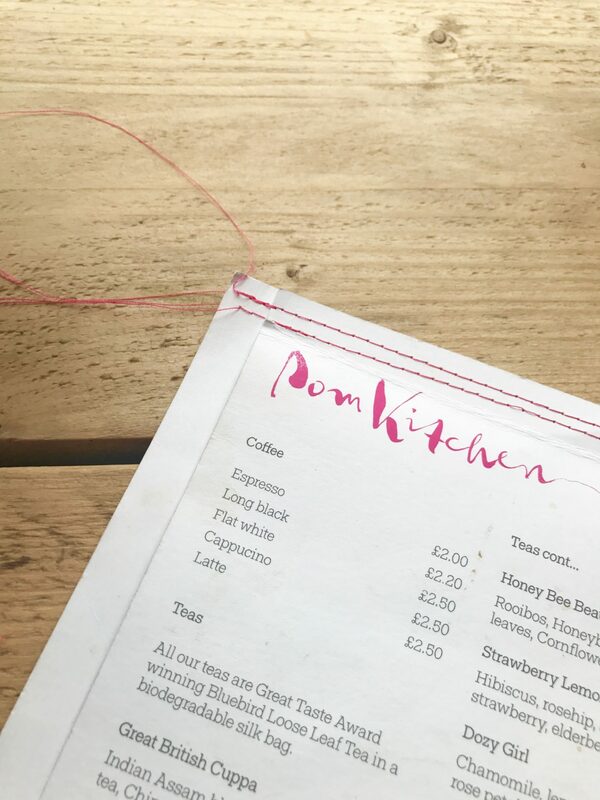 Let me know if you have visited Pom and also if you have any food recommendations for Sheffield in the comments below! Ooo that place looks so pretty!